On our second day of Camiguin Exploration, we headed off to White Island very early in the morning. This is a bare island, no trees or any makeshift rest area, so it is ideal to visit very early in the morning or late in the afternoon. White Island sandbar is always included in every traveler’s bucket list of Camiguin because of the serenity and calmness the island offers. 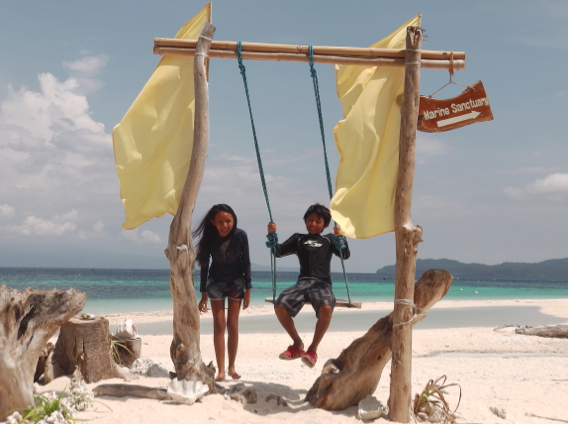 The white powdery sand can rival that of Boracay. And while you’re in the island, have a taste of uni or sea urchin that the locals sell. The Kibila Giant Clam Ocean Conservation and Nursery is the place to visit if you want to learn about the different species of clams and how they grow. The Giant Clam Sanctuary is nestled in a cover near Cantaan. You can also opt to rent vests and snorkeling gears if you want to see the giant clams under the sea. 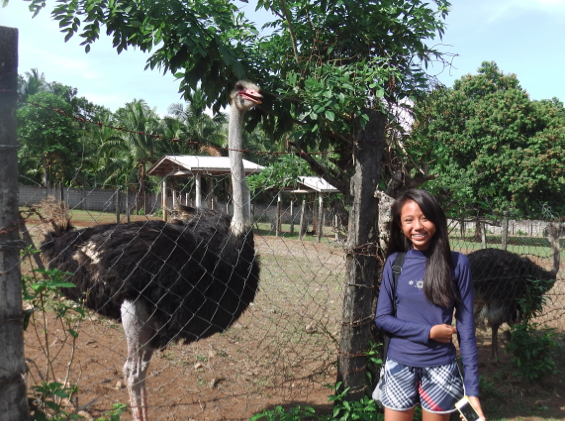 It is a research center for improving the breeding of farm animals in Camiguin like ostrich, pigs, ducks, goats. Worthwhile stopover when you have curious kids. Just outside the Tuasan Falls, we found this very interesting delicacy - Kiping. For 10 pesos a piece, you will get to taste a round crispy merienda made from sweet potato that is grounded, mixed with water, fried and topped with chocolate. PASTEL is a Spanish term for CAKE. 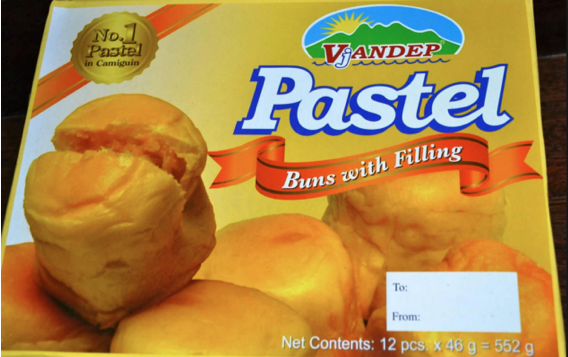 By our ingenuity in grammar, PASTEL has long been called in English, as a soft dough coffee bun whom the Spaniards has generously taught our ancestors and made PASTEL as part of a Camiguingnon’s delicacy. This made PASTEL a common treat in the tables of the affluent Camiguingnons of the time, especially during special gatherings and occasions, such as birthdays, weddings, fiestas, Christmas and the likes. We had dinner in an authentic Italian eatery by the roadside. Luna Ristorante served awesome pizza! Truly, when you are in Camiguin, you will never ran out of things to do, places to visit and explore, and food to taste. It is one Philippine destination worthy to be a part of everyone’s bucket list!